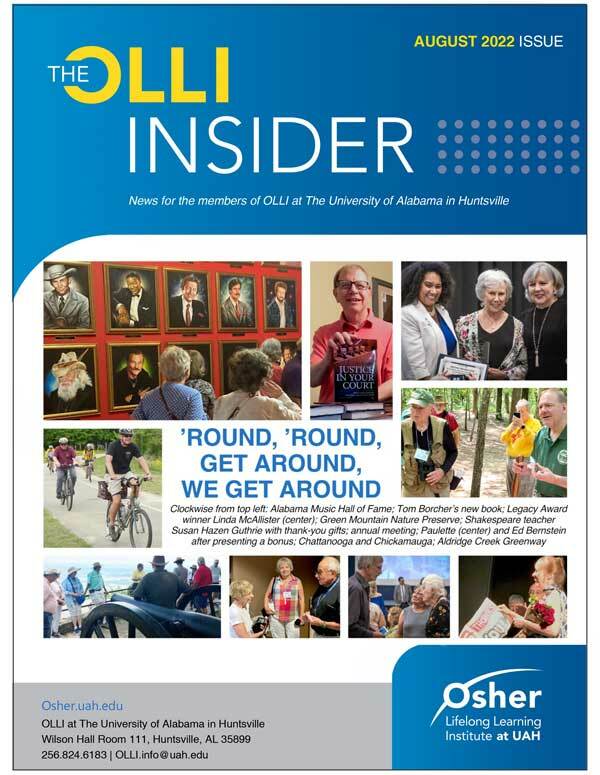 The OLLI Insider is an all-volunteer written and designed publication. OLLI membership provides you with ten (10) issues of The OLLI Insider electronically each year. The most recent issue is available to the right or archived issues can be accessed with the links provided below.